The demands for a European graduate study: What would a European graduate study need to deliver in the eyes of the various stakeholders? What kind of questions should it be able to answer? How important is it to set up such a study? Key stakeholders’ views on these issues were investigated. Key stakeholders are: decision makers at the regional, national, and European level, higher education managers and professionals, students, employers, employees, and researchers. The existing capacities for monitoring European graduates: A variety of European and international data sets regularly provide comparative information on European higher education graduates. To what extent are these data sets able to cover the needs for information of the stakeholders? What are their advantages? What are their shortcomings? What is the lack of information a European graduate study would need to provide? The point of departure at national level: Whether and how are higher education graduates monitored and studied in the different European countries? What are the similarities and differences between the different national approaches? How could a European graduate study tie in with national approaches? Are there common patterns in national graduate studies a European graduate study could build on? The options of organizing and financing a European graduate study: How could a European graduate study be organized for an efficient and effective collaboration among the partners involved? How should it be set up to lead to a sustainable project and allow for a growing number of countries covered? What are suitable sources of funding and how can they be made accessible? The EUROGRADUATE consortium worked with a mix of quantitative and qualitative methods to reach its goals. The methodology used in each work package was chosen according to appropriateness, aspects of scientific quality and cost-effectiveness. 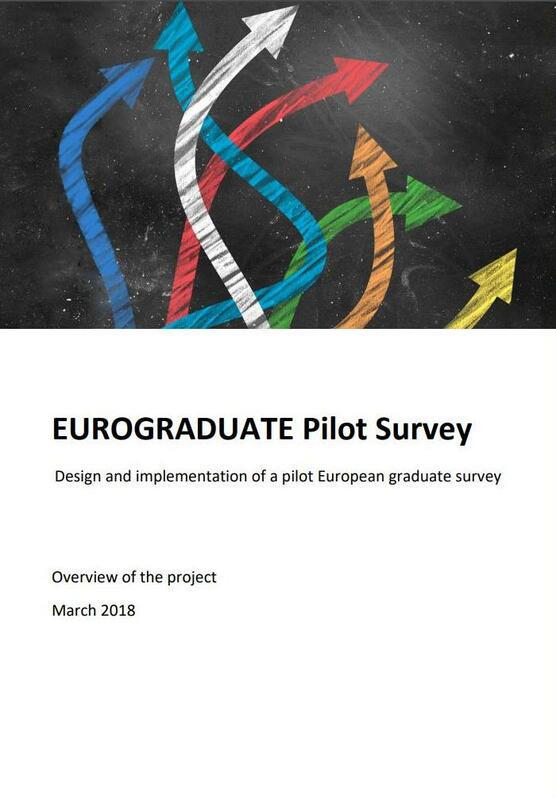 Surveys have been implemented to gather information on the demands for and possibilities to participate in a European graduate research project among national ministries, national rectors’ conferences and research groups conducting national graduate studies. Expert interviews have been conducted among the members of the Stakeholders’ and Scientific Board, who were also actively involved in reviewing the progress and the decisions of the Consortium. Complementing the expert interviews, focus group discussions brought together the views of European level organisations of students, higher education institutions, employers, employees, policy makers, and researchers on the potential of a European graduate study. A combination of interviews, desk research, and quantitative analyses was used to assess existing European data capacities. 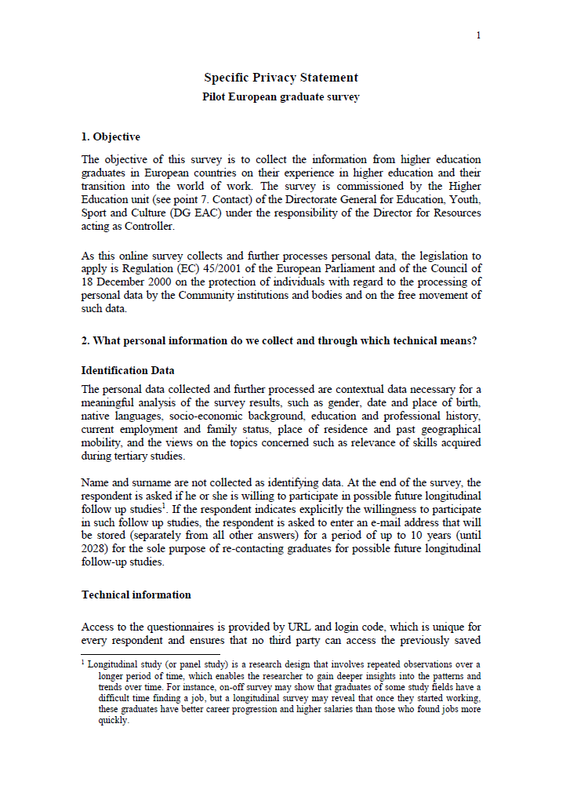 The problem solving capacities of existing European data sets for the purposes of this project was tested directly by calculating a set of basic indicators on HE graduates. The outlined steps were all highly interconnected and build upon one another. The quality of work and working processes was supervised by all project partners and discussed at project meetings. Two project boards - the Stakeholders’ and the Scientific Board - gave external feedback on interim results, research plans, report drafts, and publications of the project, ensuring high-quality methods and results.